I feel you. I pretty much find in-the-box sequencers produce more musical results 90% of the time for me. 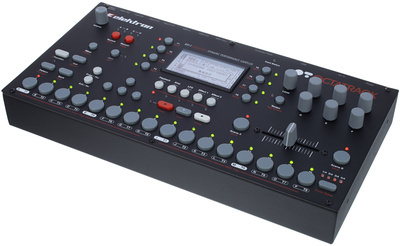 I use my Octatrack almost exclusively for live gigs because I refuse to have a laptop on stage again (I never want to have that (disrespectful) disconnection from the audience.) For me it doesn't really fit into a studio workflow, because software tools will almost always do the job better, but when it comes to compact live performance, there's really nothing else out there (that I'm aware of) that can get the job done. That's actually an impeccable point: one of the reasons I first moved to the OT was to avoid on-stage computers. I, too, always felt like they were disrespecting of the audience; even when I see friends using them, they seem out of place. That might just have been the thing I needed! I totally get the point of "disrespecting the audience" with that obnoxious Apple (most of the time) glow. I too, have been toying with playing out full hardware, but still love all the benefits of ITB. Sounds to me like the Octatrack (although I don't know it) could be the bridge from studio to live. Perhaps keep it around for just that.